[toc]Sun tanning or tan as it is called, is a process where the skin changes its color and darkens. Some people think that it is giving them a healthy glow, but actually it is the skin trying to protect itself from the sun. A tan whether you get on a beach, on bed or because of any other reason is always bad news. Tans are caused by harmful ultra violet radiation. In short, it causes cell damage. 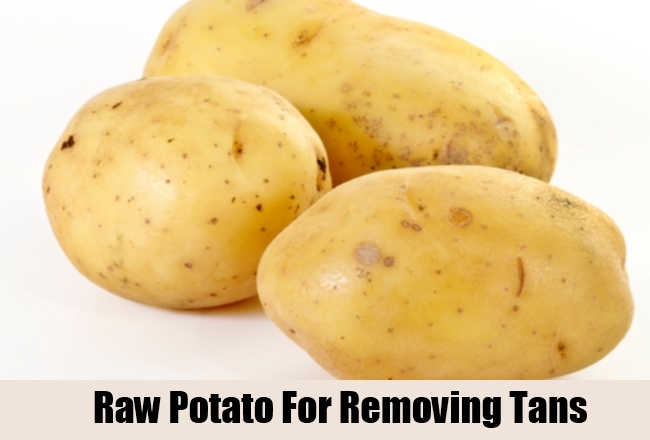 Raw potato is very good for removing tan from the skin. 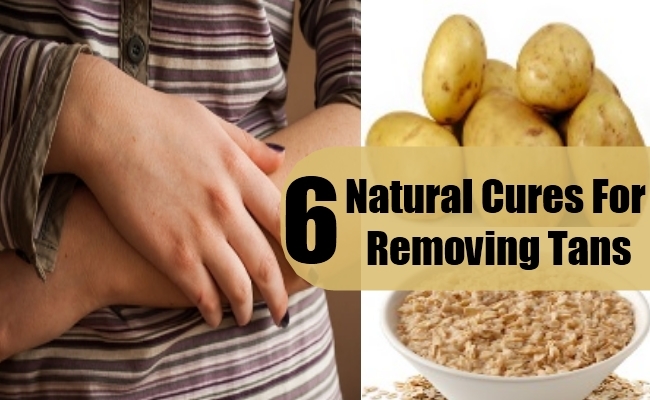 Peel the skin of a potato and then cut it into round slices. In a circular motion, rub these slices on the tanned area. Apply it very gently and slowly. Do this for ten minutes and then let it dry for another ten minutes. Wash the area with cold water. This has to done three times a day for good results. The cooling and soothing properties of yogurt are very good for removing tans. Take some yogurt depending on the area of the tan. 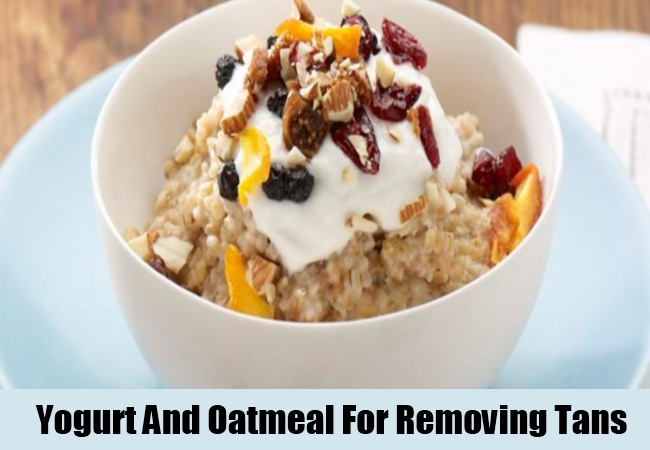 Take oatmeal which has to be half the measure of the yogurt. Mix it well, till it becomes a smooth paste. Apply it to the area of tan slowly and covering every part that has been tanned. Keep it for around 40-45 minutes, or till it dries off. Then slowly peel it off and wash with cold water. This has to be done two times a day. Take two tablespoons of turmeric and mix it with one table spoon of barley water. If yogurt is added to this mixture it will become more effective. Prepare this mixture depending on the area it has to be applied. Mix it well till a smooth paste is ready. Apply the paste to the parts where the skin has tanned. Keep it for 30 minutes and then wash it with cold water. Coconut water is very effective in removing tans. First start of with washing the tanned area with lukewarm water. With the help of cotton apply coconut water to the tanned area. Leave it on for 30 minutes and then wash it with cold water. This has to be done 2-3 times a day. 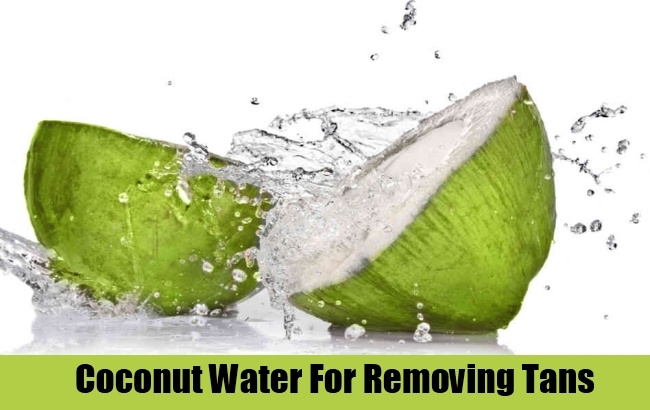 You can drink coconut water as well as this is very effective in the overall wellness of the skin. Coconut water will make your skin glow. 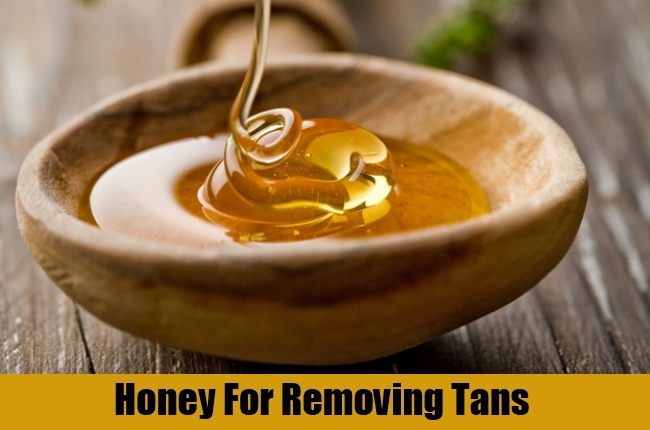 Honey helps in bringing a glow to the skin and is useful in removing tans too. Take two table spoon of honey in a bowl and add one tea spoon of vinegar to this. Mix this well and apply this mixture to the tanned area with the help of cotton balls. Keep this lotion on till it dries off completely. Rinse the tanned area with cold water. 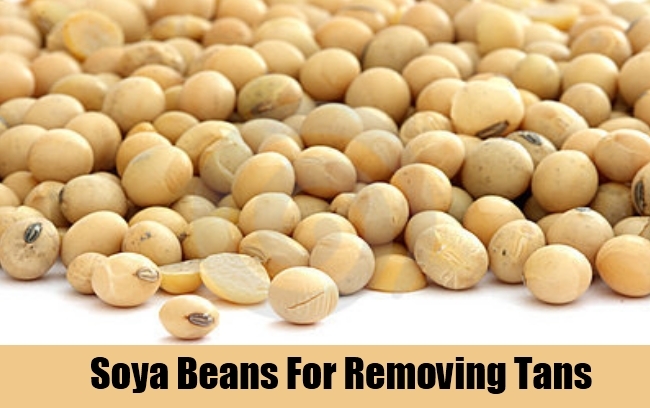 Take some soya beans and soak it in water for 30 minutes. Then add milk to this and grind it in the blender. Make a smooth paste of this soya bean and milk mixture. 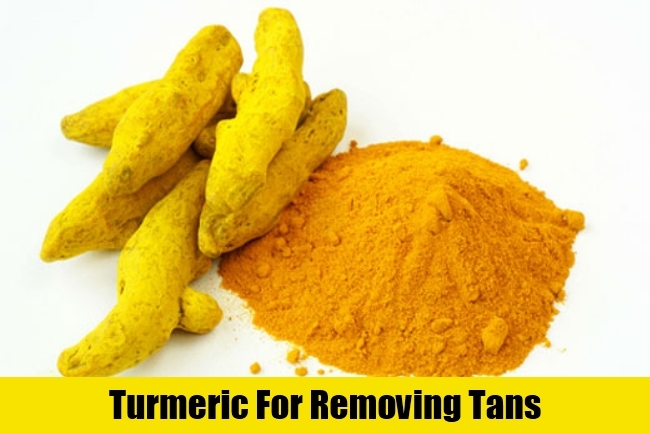 Apply this mixture gently to the tanned area in a circular motion. Keep this mixture on for 30 minutes or till the paste dries. Rinse the area on which the paste is applied with cold water.